2019 brings us a new version of Elsa - a little smaller, with a cute new hair-do, new face and some new clothes. 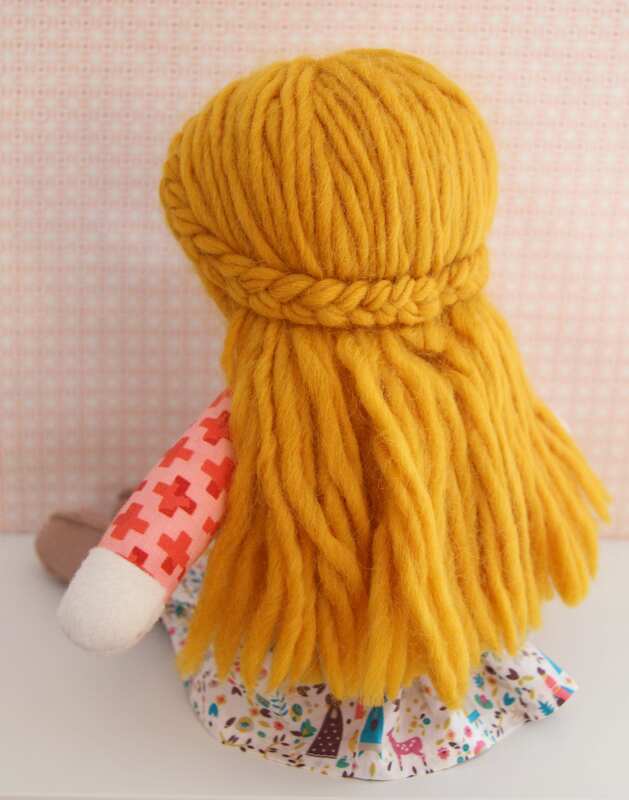 An original pattern for a 14" cloth doll with yarn hair styled with a braid crown. 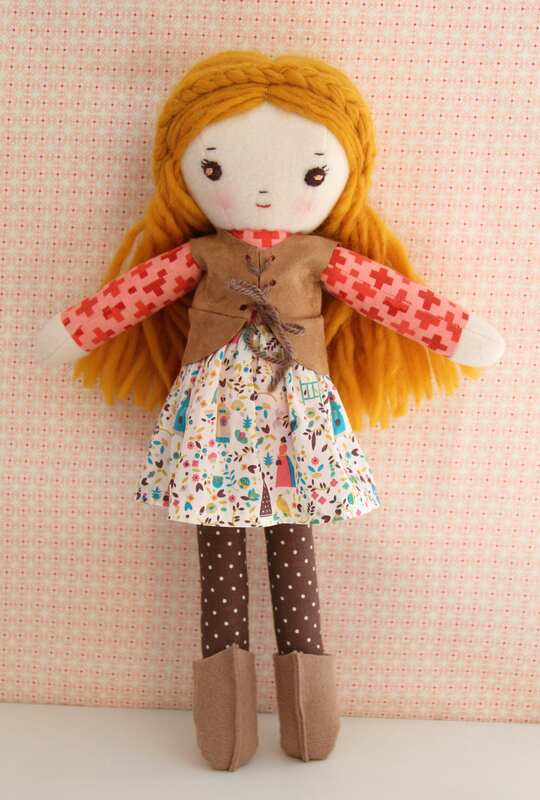 The patterns are included for her folky outfit of lace up vest, skirt and boots. Full-size pattern pieces. 11 pages. All Wee Wonderfuls patterns and content are for personal use only. You may print out the patterns as needed for yourself, but may not distribute the patterns in any way. Additionally, all items created with the Elsa pattern are for personal use only. 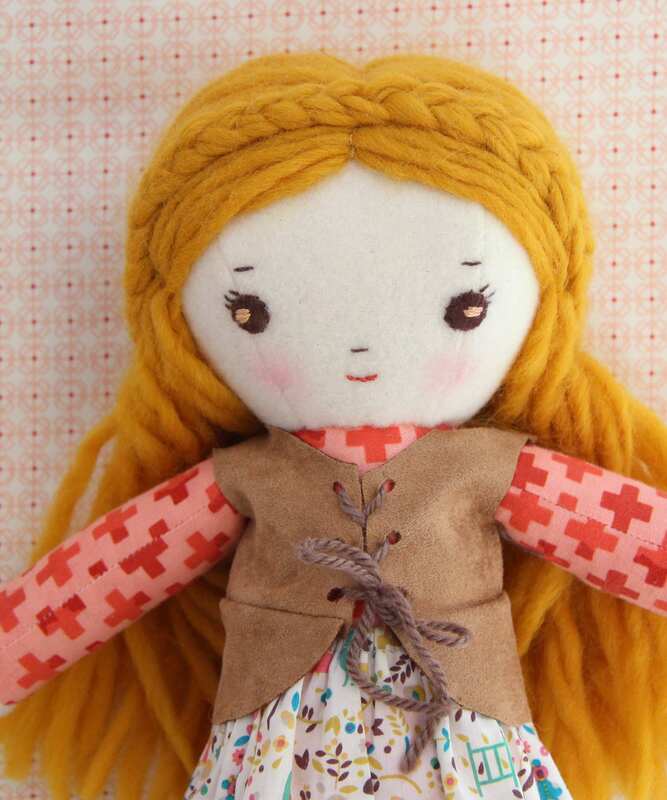 You may make as many dolls and outfits as you like for yourself, your family, and your friends, but may not sell anything produced from these patterns. Any commercial use of the patterns or items made from the patterns is not permitted. Elsa is all for fun, but not for business! The Elsa dolls are not intended for children under 3. Any hand sewn parts could come unattached and become hazardous. Spot clean as needed. This is a downloadable PDF Pattern. Upon purchase you’ll receive an email with a link to download.